4.99 -2.99! SAVE UP TO 40% RIGHT NOW! 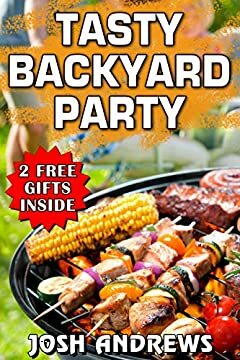 Get this Amazing Recipe Book and become a real Super-host of Backyard Parties! You can read it on your PC, Mac, smartphone, tablet or Kindle device. 2 awesome tasty gifts inside!!! More recipes - more gourmet outdoor leisure! Still wondering if it's possible to make your party the most memorable event of your and your friends' lives? Of course, it is! Get this book and it will be an absolutely delicious experience!